Organic vs. Natural Mattresses: What's the Difference? All of us are trying to be more health and environmentally conscious these days, from the things that we eat to the way we drive. But one area that a lot of people overlook is their mattress. Think about it – you spend thousands of hours lying on your mattress. Wouldn’t you want the one beneath you to be as good for your body and as good for the environment as possible? We would too. To help you find the right upgrade, we have put together this quick comparison guide to organic vs. natural mattresses. What is the Difference Between and Organic vs. Natural Mattresses? With some other, “organic” means it contains no synthetic materials while “natural” contains fewer synthetic materials. Many mattress makers use the terms interchangeably, meaning that if you are particularly sensitive about the use of synthetic materials, you will need to investigate the specific composition of the mattress. Fabric: Cotton is exposed to a tremendous amount of pesticides. Look for a mattress made from organic cotton that has organic fill and only uses organic dyes. Latex: Natural latex is great because it is more durable and lasts longer than synthetic latex. However, many mattresses contain a blend of the two, so be sure to confirm that your mattress is made from 100% natural latex. Fire Retardants : Your mattress can’t truly be called natural or organic if it has been treated with fire retardants. 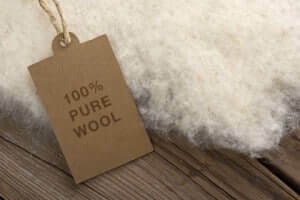 Wool acts as a natural fire retardant. Spring or Coils: If your mattress has springs or coils, you should be aware that they are notorious incubators for mold, mildew, and bacteria. The easiest way to eliminate this threat is to go with a natural latex mattress instead. One of our most popular options is a natural latex mattress made with Joma wool and organic cotton covers. And since we make all the mattresses we sell, we know exactly what goes into them. You don’t have to debate organic vs. natural mattress when you come to Beloit mattress because you know we only use quality materials and responsible practices. To learn more about selecting the best possible mattress, download our free Mattress Buying Guide.